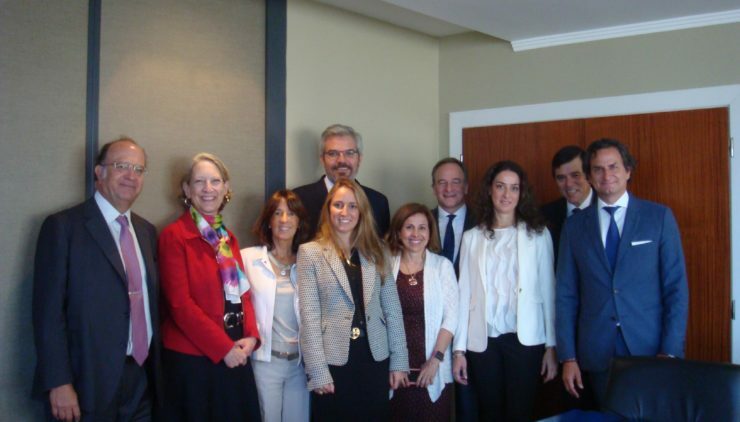 The Lawyers Council for Civil and Economic Rights in the Americas announced the launch of its anti-corruption initiative at a meeting in Buenos Aires, Argentina. This initiative seeks to organize leading lawyers across the Americas to support and complement governmental and civil society efforts to prevent and combat corruption. The Council currently consists of 18 leading legal practitioners from thirteen Latin American countries and the United States with active experience as leaders of civil society in their respective countries. The Vance Center established the Council last year with support from the Ford Foundation and the Tinker Foundation. To achieve its objective of addressing challenges to civil and economic rights in the region, Council members agreed to identify areas of priority where reform is needed, and then design and implement multi-lateral, region-wide strategies that include the private sector and can have measurable impact in these areas. It first identified corruption as a singular challenge to democratic governance in Latin America and formed a subcommittee to develop the anti-corruption initiative. It has two main objectives: First, it is developing a practical guide of best practices based on a comparative study of anti-corruption laws and prevention/combating mechanisms in selected countries. The Council will rely on this comparative study to make recommendations to improve practices across governments, the legal profession, and the corporate sector to prevent and combat corruption effectively. The second objective is to broaden the awareness of members of the legal profession, governmental and civil society organizations, and the public in general, regarding the political, economic, social and environmental effects of corruption. Fighting corruption has become a global concern and a priority for many countries, with multiple initiatives implemented to combat it. Council members recognize the unique role of lawyers as vital civil society participants in the protection of legal institutions, the rule of law, and civil society generally. The Council has also identified as a priority supporting civil society organizations facing government repression or other threats. A separate subcommittee of the Council developed an initiative to identify legal impediments to forming and operating civil society organizations independently and free from government overreaching. Once the study is completed, the subcommittee will prepare an action plan to launch within the next few months. Council members are: Carolina Zang (Zang, Bergel & Vines Abogados) and Jose A. Martinez de Hoz (Jr.) (Perez Alati, Grondona, Benites Arntsen & Martinez de Hoz) – Argentina; Luciana Tornovsky (Demarest Advogados) and Roberto Quiroga (Mattos Filho) – Brazil; Pablo Guerrero (Barros & Errazuriz) – Chile; Paula Samper (Gomez-Pinzon Zuleta Abogados) – Colombia; Vivian Liberman (BLP) – Costa Rica; Mary Fernandez (Headrick Rizik Alvarez & Fernández) – Dominican Republic; Hernan Perez Loose (Coronel & Perez Abogados) – Ecuador; Alfonso Carrillo (Carrillo & Asociados) – Guatemala; Carlos Del Rio (Creel, Garcia-Cuellar, Aiza & Enriquez) and Valeria Chapa (Honeywell International) – Mexico; Ramon Ricardo Arias (Galindo, Arias & Lopez) – Panama; Alberto Rebaza (Rebaza, Alcazar & De Las Casas) – Peru; Antonia Stolper (Shearman & Sterling) and Todd Crider (Simpson Thacher & Bartlett) – Unite States; Marcela Hughes (Hughes & Hughes) – Uruguay; Fernando Pelaez-Pier (Hoet Pelaez Castillo & Duque) – Venezuela.